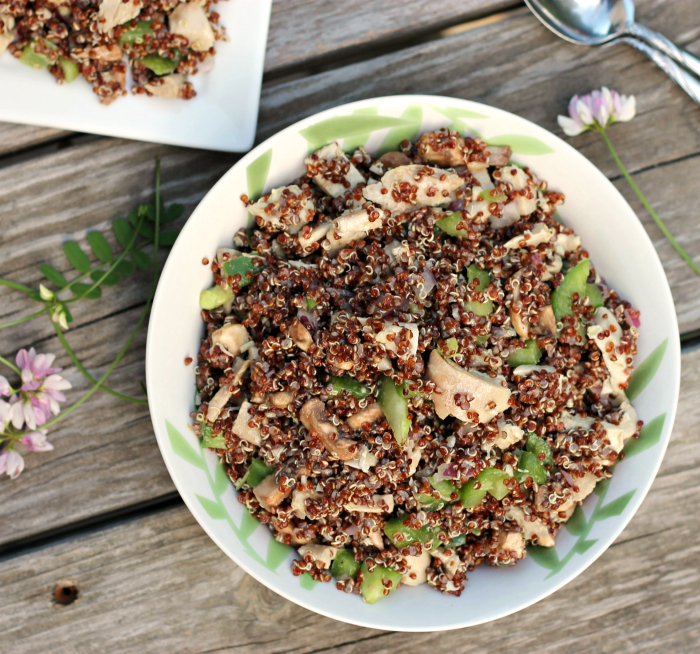 Quinoa chicken salad, the perfect lunch or have it for dinner with a salad. I have been trying to eat somewhat healthier these days. You may not think so by looking around my blog, with the scones, cookies, and quick breads recipes. But it’s true I have been having green leafy salads with my dinner every night, eating more fruits and vegetables, and yes this quinoa chicken salad. 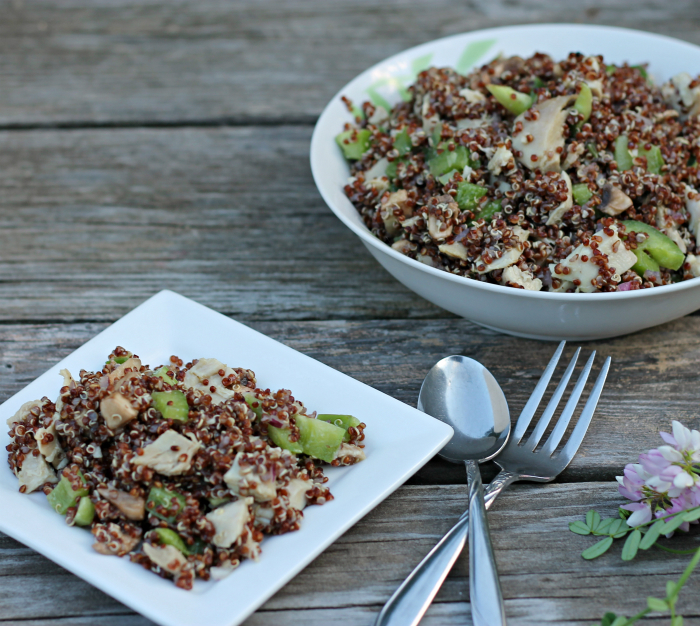 I have made quinoa in a few different ways since I started this blog. It was actually something new to me when I first started this blog and I read about it on other blogs. Some of the recipes that I have made have been okay and others have been nothing to get too excited about. This time around I decided to add some chicken with a few vegetables and I added vinaigrette to add some additional flavor. This one is something to get excited about. I will be packing this in my lunch for work this week and enjoying every bite. Cook the quinoa using the directions on the package. Once done set aside to cool. As the quinoa is cooling cut up the rest of the ingredients for the salad. Add to the cooled quinoa and mix until mixed well. To make the dressing add all of the ingredients into a small bowl. Whisk together until completely combined. Pour over the quinoa and vegetables and mix until well blended. 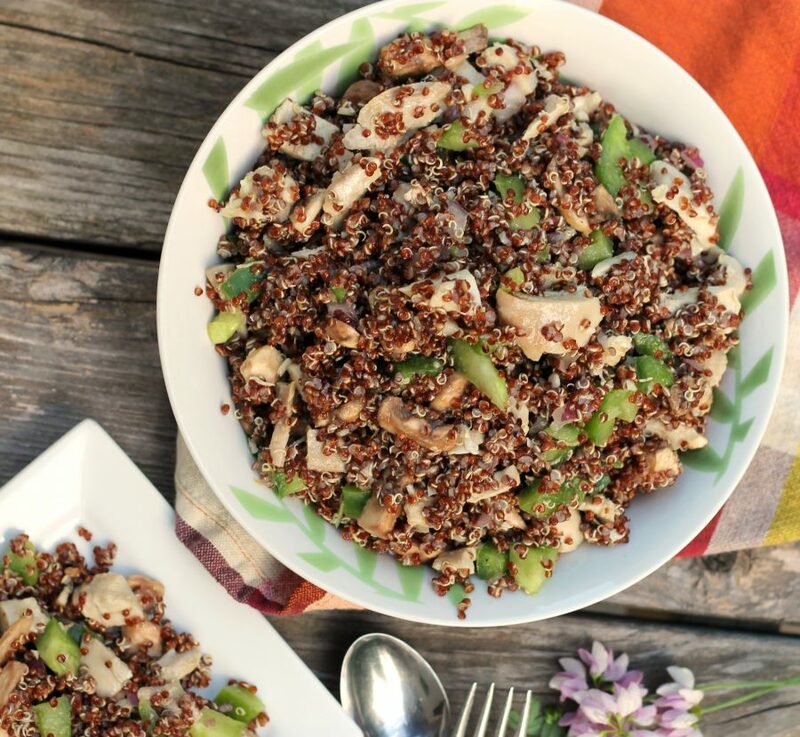 Quinoa is such a feel-good food! Looks like you put it to good use in this salad! 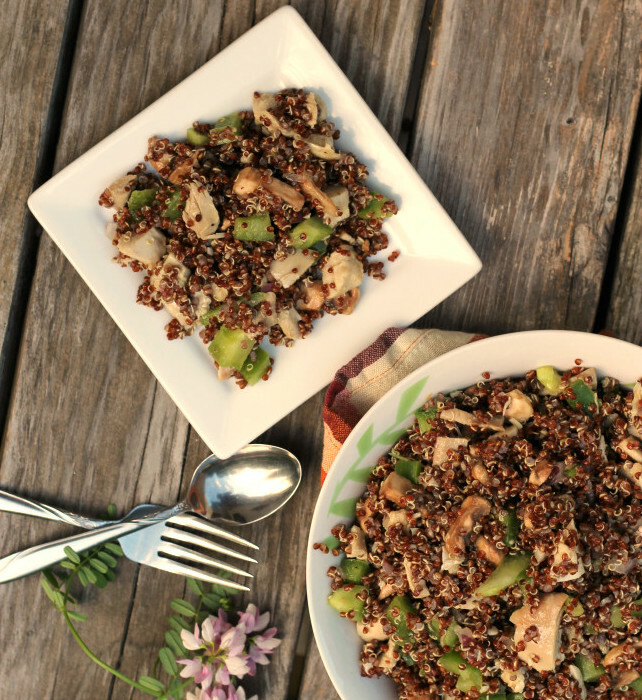 Quinoa is one of my favorite things to cook with! This salad looks so good! Lots of healthy protein here and not to mention it’s DELICIOUS! I like quinoa, but it needs other ingredients to pep it up. This looks perfect — loads of flavor, and so healthy. Thanks! My pantry is full of quinoa but I hardly ever cook it! This is inspiring me! It looks delicious Dawn and I love the red wine dressing! Lucky you to have this for lunches. I’ve been meaning to use up some of the quinoa in my pantry and your recipe looks terrific!! Bill steers clear of it, but I’d happily make this for a week of delicious lunches!